Las Vegas, Nevada – WeCareCard introduces the first-ever prepaid debit card tied to a crowdfunding platform. The first-of-its-kind patent pending technology will fulfill a crowdfunding campaign’s financial component by loading funds onto a WeCareCard Prepaid MasterCard rather than the traditional fulfillment method of check, bank account deposit or PayPal. The idea of WeCareCard spurred from co-founders Jessica Weiss, a former nurse who consistently witnessed first-hand financial hardships caused by unexpected medical bills and Phillip Qualls, a Technology, Payments and Financial Services executive with more than 20 years of experience in the industry. “I saw an opportunity to leverage my experience to revolutionize relational giving and gifting by leveraging crowdfunding, prepaid and patent pending technology. Announcing the card at the world’s premier destination for emerging payments and financial services organizations, made perfect sense.” said Qualls. The Indiana-based cause-related crowdfunding site delivers a simple, seamless and secure way to share stories of hardships or celebrations, connect networks and gather funds for those in need. The WeCareCard Prepaid MasterCard serves as the money- management tool, welcomed at over 25 million MasterCard locations worldwide. The card will be delivered to fundraisers early in their WeCareCard crowdfunding campaign and funds will be loaded throughout the duration of the campaign, helping fundraisers manage the expenses related to their cause directly, quickly and easily. “After our family suffered hardships associated with long-term illness, I began contemplating how I could help others through similar situations,” said Weiss. “I knew there had to be a simple, streamlined way to help more people locally, and nationally through an online platform and prepaid debit card. WeCareCard has retained Atlanta-based FirstView Financial as their card processor and program manager. FirstView excels at innovation in the high-growth prepaid card and mobile payments arenas. Metropolitan Commercial Bank (New York, NY) will be the issuer of the WeCareCard Prepaid MasterCard. Individuals and organizations interested in receiving funding through WeCareCard’s platform can click here to apply for consideration. 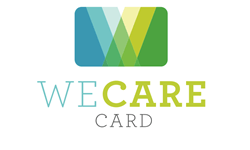 WeCareCard is the first-ever online fundraising platform tied to a prepaid debit card that empowers people from around the nation to raise funds for a variety of life-changing causes. The cause-related fundraising solution delivers a simple, seamless and secure way to share stories, connect networks and gather immediate funds for those in need through the WeCareCard Prepaid MasterCard. This prepaid card serves as a money management tool and is welcomed at over 25 million MasterCard locations worldwide. San Francisco, CA – On September 23, 2013, the Securities and Exchange Commission (SEC) began accepting filings under Rule 506 (c), a new method of using general solicitation to raise capital for private businesses through accredited investors. Many see this new rule as a precursor to Equity Crowdfunding, which will permit regulated internet based fund raising from both accredited and non-accredited investors through approved internet portals. The Registry of Accredited Investors, a private company that provides verification services to accredited investors, reviewed of all the Rule 506 (c) filings filed through Form D – Notice of Exempt Offering of Securities with the Securities and Exchange Commission since the legislation went effective in late September 2013 through mid February 2014. Over 700 companies have filed 506 (c) forms with the SEC. California had the most filings with 139 with Texas, New York and Florida far behind. The average reported age of Companies seeking investment was 2 years with a majority of reporting Companies less that one year old. 80% of filers had less than $1 million in annual revenue. The main industries using the exemption were Banking and Financial Services, Technology, and Real Estate. 75% of all filers reported fund raising goals of under $10 million with almost 40% indicating offering amounts of $1.5 million or less. Women represented only 4% of the Chief Executive Officers identified in the filings. Lend Academy, the preeminent resource for the P2P lending industry, and NowStreet Media, producer of acclaimed financial events that highlight Wall Street transformations, are pleased to announce LendIt, the first global conference for the burgeoning P2P and online lending industry. Peer-to-Peer and online lending (collectively, “online lending”) is a relatively new asset class that is rapidly revolutionizing the credit markets and transforming the global banking industry. Online lending seeks to exploit the structural mispricing and funding inefficiencies in the traditional banking sector. Through the use of technology, online lenders are able to compress the cost of originating, servicing, and funding traditional loans. As a result, borrowers receive a lower interest rate while lenders receive a very attractive rate of return. Online lending marketplaces have emerged globally for personal loans, student loans and small business loans. With interest rates at all-time lows and big banks hording cash, online lending marketplaces have tapped into a variety of investor sources ranging from large pension funds all the way down to self-directed individual investors. LendIt is being held at the prestigious Convene Innovation Center in Manhattan on Thursday, June 20, 2013. The day will bring together the industry’s most influential leaders including: Renaud Laplanche, Lending Club‘s CEO, the largest peer-to-peer lending company as well as Ron Suber, Head of Global Institutional Sales for Prosper Marketplace, the nation’s second largest. Combined, these companies have already originated more than $2 billion in loans. In addition to a powerful lineup of keynote presentations, interactive panels discussions and extensive networking, the event will feature the world’s first exhibit of peer-to-peer and peer-to-business lending portals. Attendees will include institutional investors, private wealth managers, family offices and individual investors. Admission tickets can be obtained directly at http://lendit2013.eventbrite.com/. Complimentary press passes will be provided to pre-approved journalists and editorial staff. “It is an enormous privilege to be working with Peter whose work is so highly regarded within the P2P industry. I am thrilled to have the opportunity to, once again, break new ground in the Wall Street convention space with the launch of another cutting-edge industry conference,” stated Dara Albright, NowStreet’s CEO. Can you trust ‘peer to peer’ lending? It is my privilege to appear before you today as President Obama’s nominee to be the thirty-first Chair of the Securities and Exchange Commission. There is no higher calling than public service. As the United States Attorney for the Southern District of New York for almost nine years, I worked very hard on behalf of the American people investigating, prosecuting, and punishing those who committed crimes. From white collar criminals to terrorists – regardless of the complexity of the case or the identity of the defendant – we always strove to do the right thing and to vigorously enforce the law. Today, I am honored by the prospect of potentially returning to public service as the Chair of the SEC to help carry out its essential mission. While I served as United States Attorney, our office worked closely with the SEC investigating and prosecuting violations of the federal securities laws by both companies and individuals. Through that experience, I became a strong admirer of the expertise, independence, and commitment of the Commission and its staff. I fully appreciate the critical role the SEC plays as the primary regulator of our capital markets and as a strong advocate on behalf of investors. Today, in the wake of the financial crisis and in the midst of implementing the substantial legislative mandates of the Dodd-Frank Wall Street Reform and Consumer Protection Act (Dodd-Frank Act) and the Jumpstart Our Business Startups Act (JOBS Act), the SEC’s importance and scope of responsibilities are greater than ever. If confirmed, I will vigorously embrace and carry out the SEC’s mission to protect investors, maintain fair, orderly, and efficient markets, and facilitate capital formation. The SEC’s mission has a tri-partite mandate, but the component parts should not be viewed as in conflict with each other. It is the responsibility of the Chair and the Commission to take the long-term view, balance the objectives when necessary, and seek to fulfill all parts of its critical mission. Then, our markets can thrive and investors will be protected and benefit. As was true when Chairman Schapiro was first before this Committee in 2009, this too is a crucial time for the SEC. Although the worst of the recent financial crisis may be behind us, none of us can be complacent – least of all the SEC, which has faced a number of its own challenges. Under the leadership of Chairman Schapiro and Chairman Walter, the SEC has made significant strides to strengthen its examination and enforcement functions, improve its capacity to assess risks, and enhance its technology. Our markets, however, are continuously evolving, and the technology of today is most certainly not the technology of tomorrow. Fast-paced and constantly changing markets require constant monitoring and analysis, and when issues are identified, the investing public deserves appropriate and timely regulatory and enforcement responses. I am acutely aware that the position of Chair of the SEC carries with it heavy responsibilities and many challenges. But I commit to this Committee and the American public that, if confirmed, I will work tirelessly and do everything in my power to effectively lead the SEC in fulfilling its mission. Let me very briefly highlight a few early priorities were I to be confirmed. First, I would work with the staff and my fellow Commissioners to finish, in as timely and smart a way as possible, the rulemaking mandates contained in the Dodd-Frank Act and JOBS Act. The SEC needs to get the rules right, but it also needs to get them done. To complete these legislative mandates expeditiously must be an immediate imperative for the SEC. With respect to rulemaking, rigorous economic analysis is important and should inform and guide the decisions that are made. Although challenging – particularly in the quantification of benefits – in my view, the SEC should seek to assess, from the outset, the economic impacts of its contemplated rulemaking. Such transparent and robust analysis, including consideration of the costs and benefits, will help ensure that effective and optimal solutions are achieved without unnecessary burdens or competitive harm. If confirmed, I would continue the efforts of the Commission to ensure that the SEC performs robust analysis in connection with its rules and in a manner that does not undermine the SEC’s ability to carry out its mandate to protect investors and our capital markets. Second, if confirmed, it will be a high priority throughout my tenure to further strengthen the enforcement function of the SEC – it must be fair, but it also must be bold and unrelenting. Investors and all market participants need to know that the playing field of our markets is level and that all wrongdoers – individual and institutional, of whatever position or size – will be aggressively and successfully pursued by the SEC. Strong enforcement is necessary for investor confidence and is essential to the integrity of our financial markets. Proceeding aggressively against wrongdoers is not only the right thing to do, but it also will serve to deter the sharp and unlawful practices of others who must be made to think twice – and stop in their tracks – rather than risk discovery, pursuit, and punishment by the SEC. Third, the SEC needs to be in a position to fully understand all aspects of today’s high-speed, high-tech, and dispersed marketplace so that it can be wisely and optimally regulated, which means without undue cost and without undermining its vitality. High frequency trading, complex trading algorithms, dark pools, and intricate new order types raise many questions and concerns. Are they problematic for retail and non-institutional investors? Do they result in unnecessary volatility, or create an uneven playing field? Or do these modern-day features bring benefits such as efficiency, price reduction, and healthy competition to our markets? Do they do all of these things? The experts and studies to date have not been consistent or definitive in their observations and findings about whether and to what extent harm is caused by the current market structure and practices. There must be a sense of urgency brought to addressing these issues to understand their impact on investors and the quality of our markets so that the appropriate regulatory responses can be made. If confirmed, I will work not only to ensure that the SEC has the cutting-edge technology and expertise necessary to enable it to keep pace with the markets and its responsibilities to monitor, regulate, and enforce the securities laws, but also to see around the corner and anticipate issues. There are, of course, many other important areas within the jurisdiction of the Commission: from money market funds to private fund advisers, from credit rating agencies to clearing agencies, from the appropriate standards and regulations governing the conduct of broker-dealers and investment advisers when providing investment advice to retail customers to how to make public issuer disclosures more meaningful and understandable to investors, to name just a few. If confirmed, I would focus on these and the many other challenges facing the SEC. In conclusion, it would be my privilege and honor to work with the men and women of the Commission and this Committee to help carry out the SEC’s mission. Thank you for considering me to serve in this capacity and for the opportunity to appear before you today. I would be happy to answer your questions.